Research into suppression of sprouting by ethylene in stored potatoes and onions has been carried out for over 50 years. It was shown in the early 20th century that storing apples with potatoes would inhibit sprouting. This was a direct result of the ethylene produced by the apples having an effect on the potatoes. It wasn’t until the early 1990’s that any substantive work was conducted to establish whether ethylene would be suitable as a commercial sprout suppressant. The early work was carried out in Canada at the Atlantic Food & Horticultural Research centre. 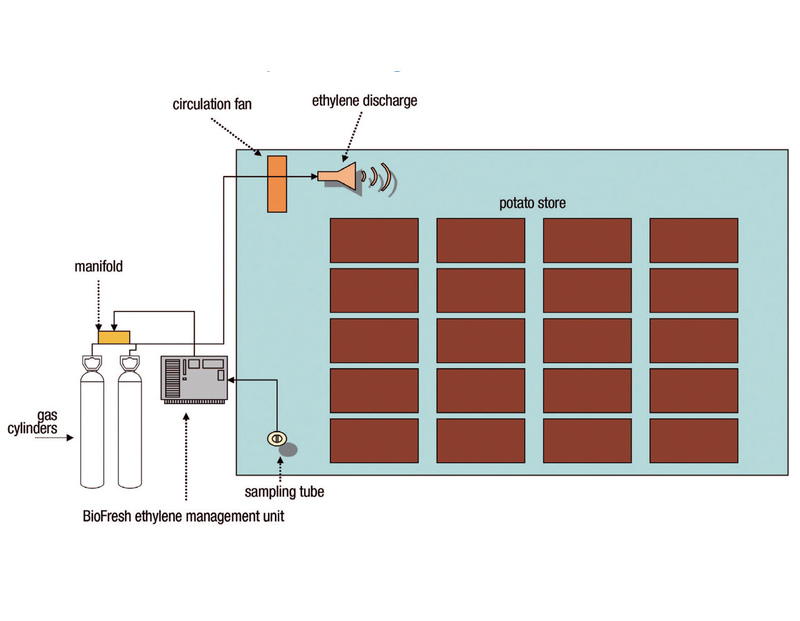 The Biofresh Ethylene Management Unit (EMU) provides store managers and growers with a safe, accurate and reliable method of extending the life of their crop in store without the risks which come from chemical residues. Our Ethylene Management Units operate using 99.95% ethylene supplied in cylinders, satisfying CRD quality requirements and HSE safety requirements. Use of cylinders ensures the delivery of pure ethylene, avoiding potential impurities which may occur with use of ethanol. In the UK, where there has been increasing pressure to reduce detectable residues in food, ethylene has been used commercially since 2003 as an alternative to more traditional chemical based sprout suppressants, which leave significant levels of residue. 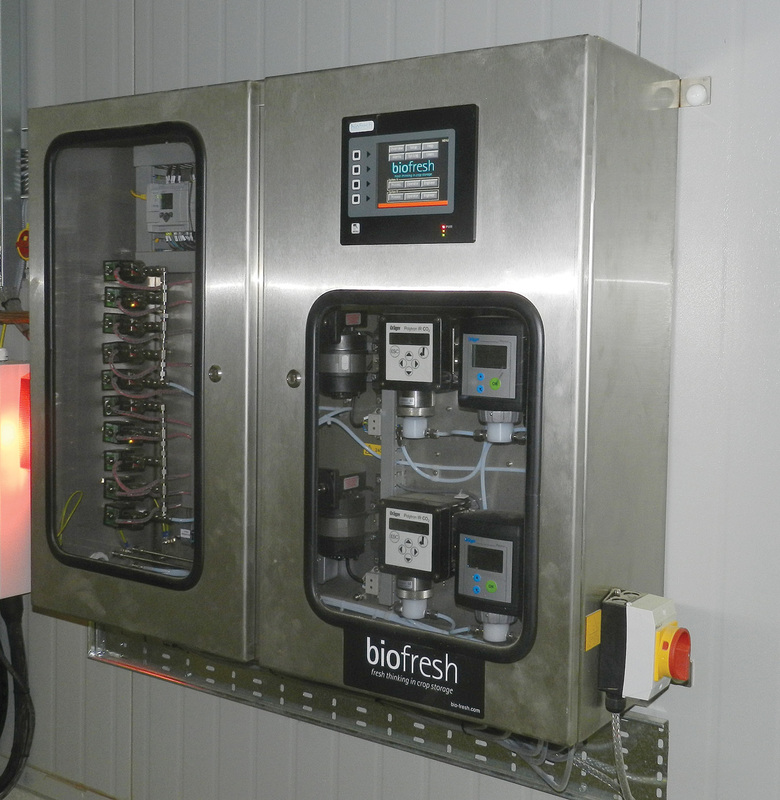 Biofresh Ethylene Management Units operate using 99.95% ethylene supplied in cylinders, fully satisfying CRD quality requirements and HSE safety requirements.